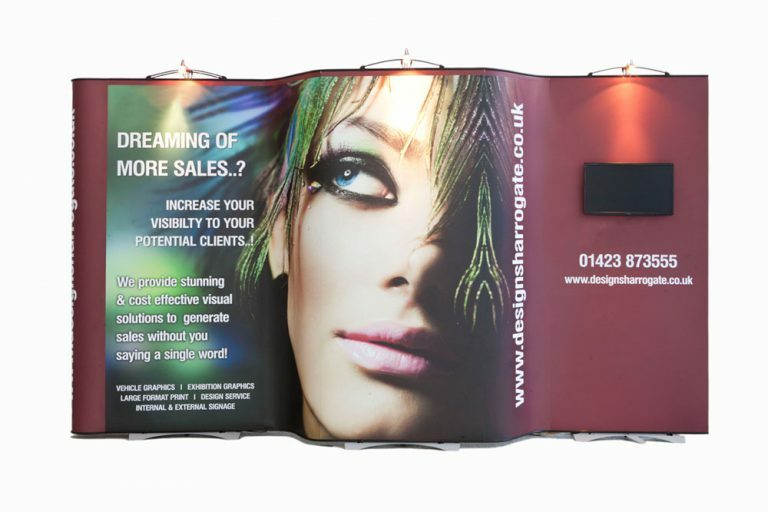 Visually stunning, versatile and tailor-made to your requirements, a Flexi Stand is a professional and contemporary solution to attract people to your display. 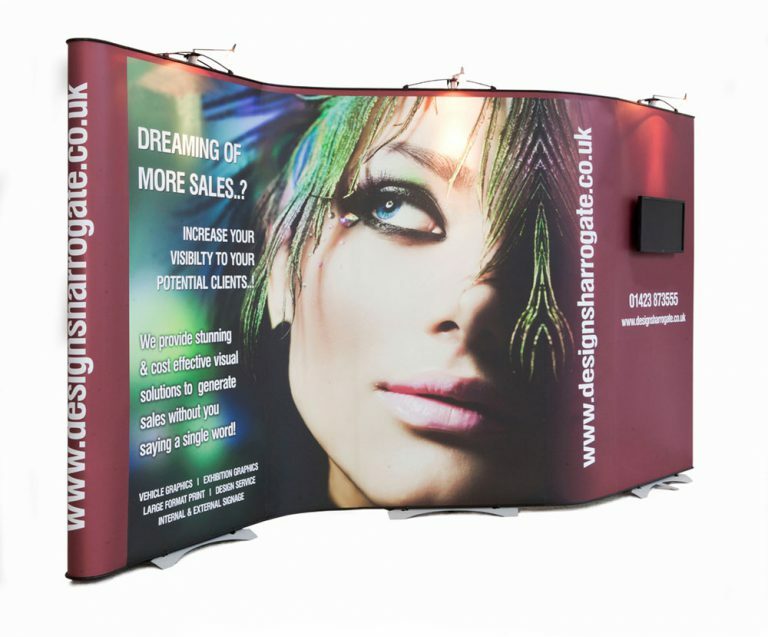 Our flexible display stands are amongst the highest quality, adaptable and portable exhibition display products on the market. 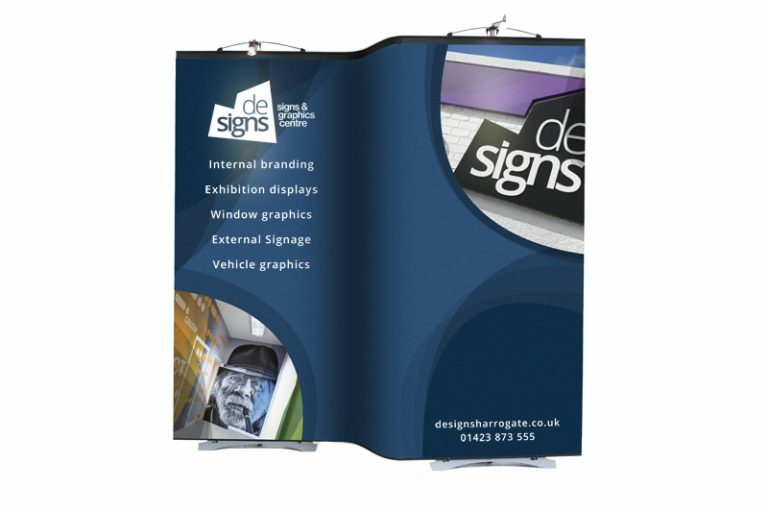 Consisting of separate stands and panels with smaller joining panels which can flex and bend, stands can be positioned in many different configurations. 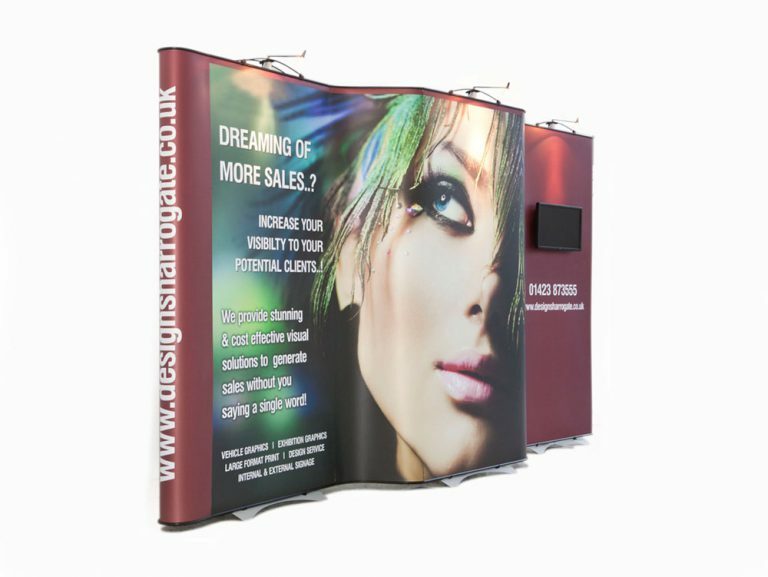 The modular design allows you to begin with a single stand and then add additional units if needed, to create a larger, bespoke display. 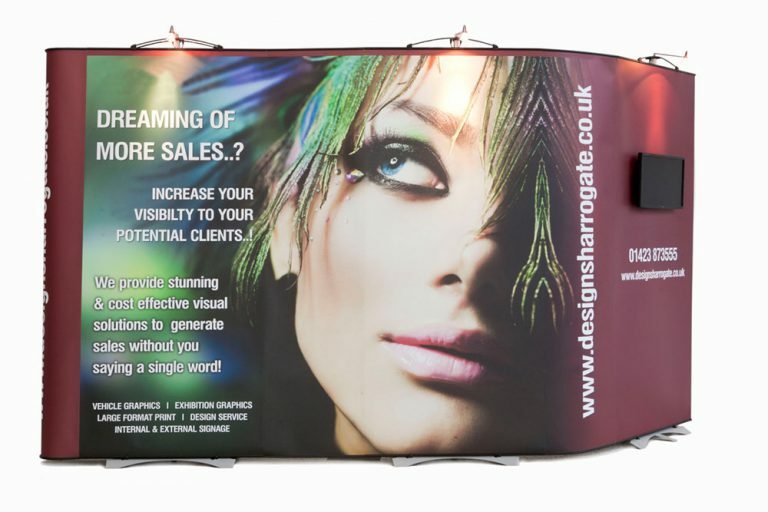 A single stand can be as small as two metres tall and 800 millimetres wide, with any extra stands potentially increasing the size of your display up to 20 metres wide, giving you the flexibility to create a display as big or small as you need. 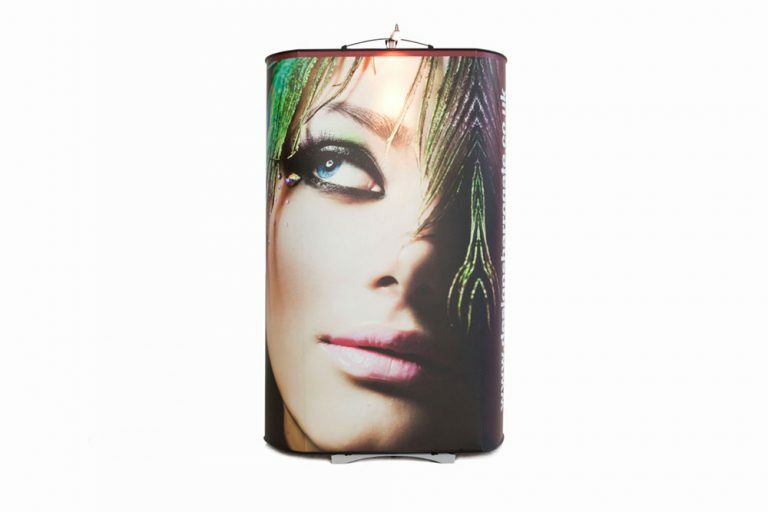 You can also add even more to this product to ensure it looks truly striking. 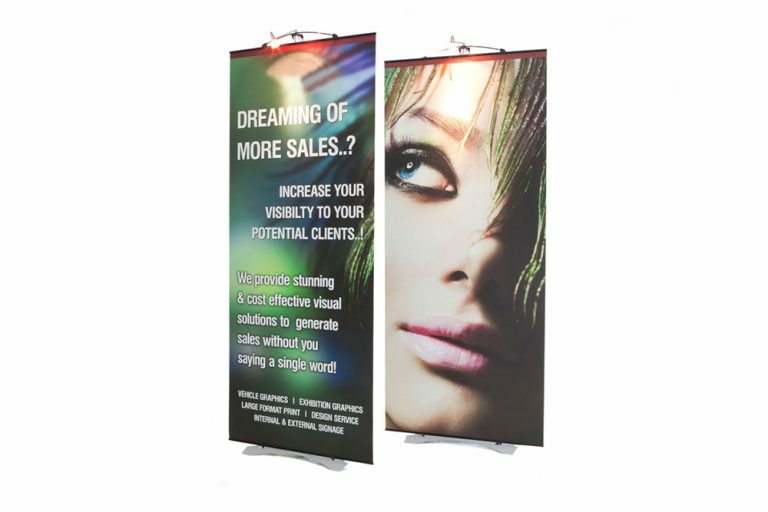 Our product’s design caters for an integrated LCD screen to really grab attention. 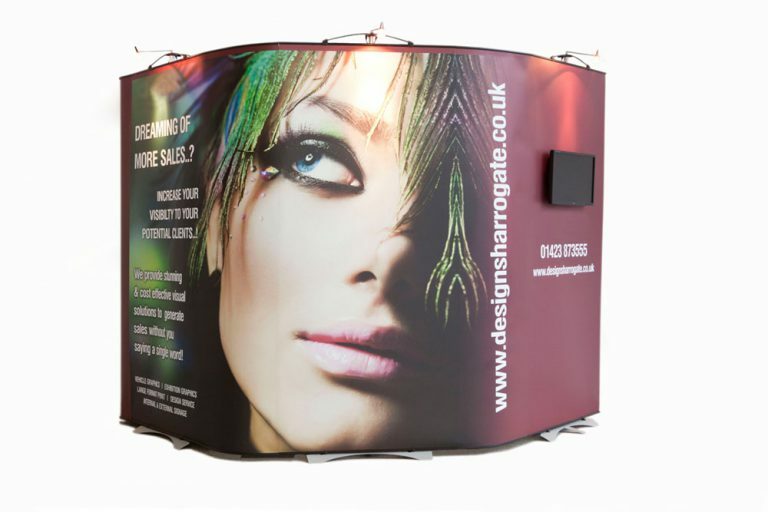 We can also supply you with display spot lamps that attach to the top of the stand, ensuring that your display is bright, well-lit and easy on the eye. 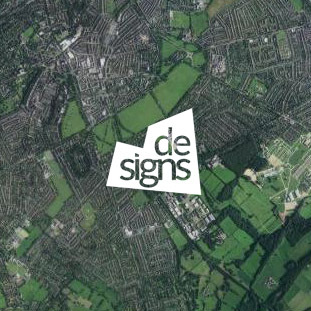 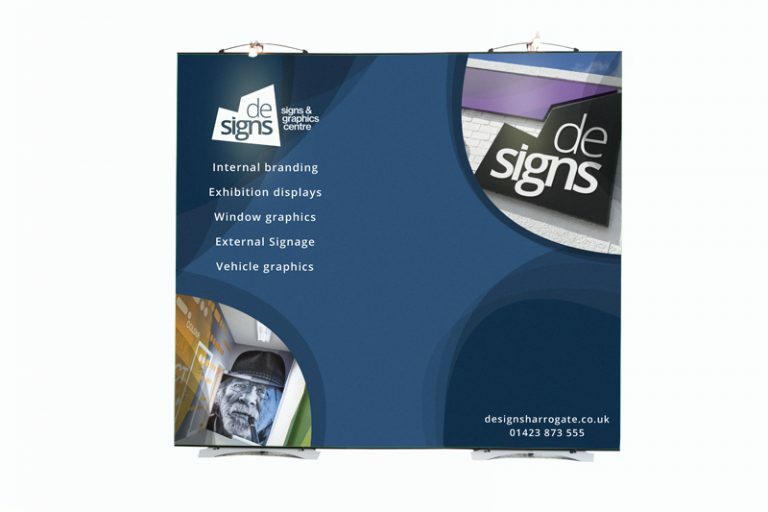 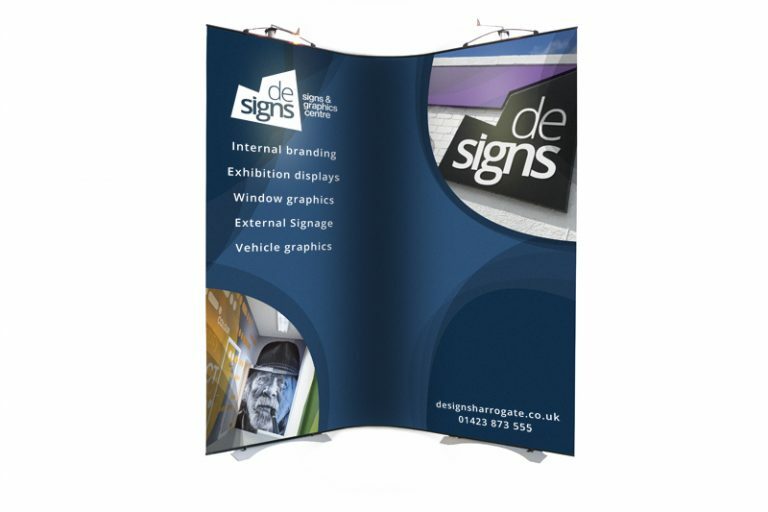 At De-Signs, we’ve worked with many companies to create stands that are attractive and long-lasting. 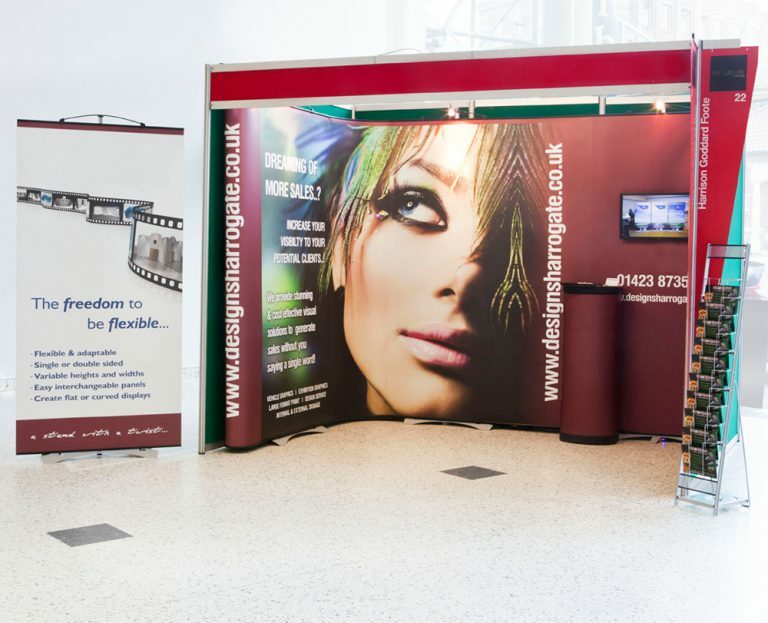 Our gallery demonstrates how working with a team who have vast experience and knowledge in this area, can make all the difference when you need a high-end quality result.